Following a hugely successful tour of In War & Peace in Asia last month, Joyce DiDonato today releases her latest album: Songplay. Together with Craig Terry (keys), Chuck Israels (double bass), Jimmy Madison (drums), Lautaro Greco (bandoneon) and Charlie Porter (trumpet), the album fuses music from jazz with that from the baroque era, with Joyce and her band creating their own distinct sound-world. A multi-award winning recording artist, Joyce’s Songplay follows releases including: In War & Peace: Harmony Through Music (winner: 2017 Gramophone Award for Recital of the Year); a live recording of Berlioz’s Les Troyens (winner: 2018 Gramophone Awards Recording of the Year and Opera recording; Recording (Complete Opera) category at the 2018 International Opera Awards; the Opera Award at the 2018 BBC Music Magazine Awards; and Opus Klassik’s opera recording of the year); Into the Fire with the Brentano Quartet; and the GRAMMY Award-winning Joyce & Tony: Live at the Wigmore Hall with Antonio Pappano. 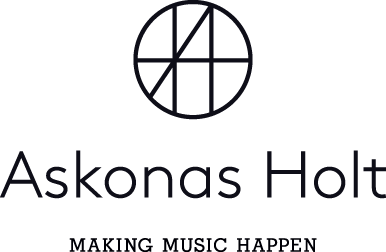 To coincide with the release of Songplay, Askonas Holt is thrilled to be taking Joyce and her band on a seven-date tour of the US later this month, with performances in Seattle, Berkeley, St Paul, Oberlin, Boston, New York and Princeton.